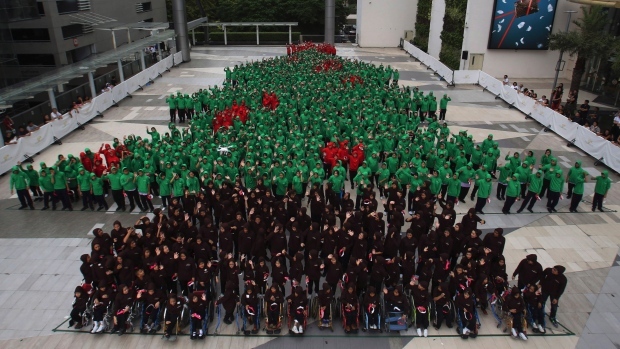 The largest human Christmas tree in the world consists of 852 Thai students dressed in red, green, and black hoodies! Palm trees outnumber pine trees in predominantly Buddhist Thailand. But the country still set a record with its holiday spirit even though Christmas is not a holiday in Thailand! The record was set in 15 minutes and 29 seconds at Siam Paragon shopping mall, outdoing the German record of 672 participants in 2011.